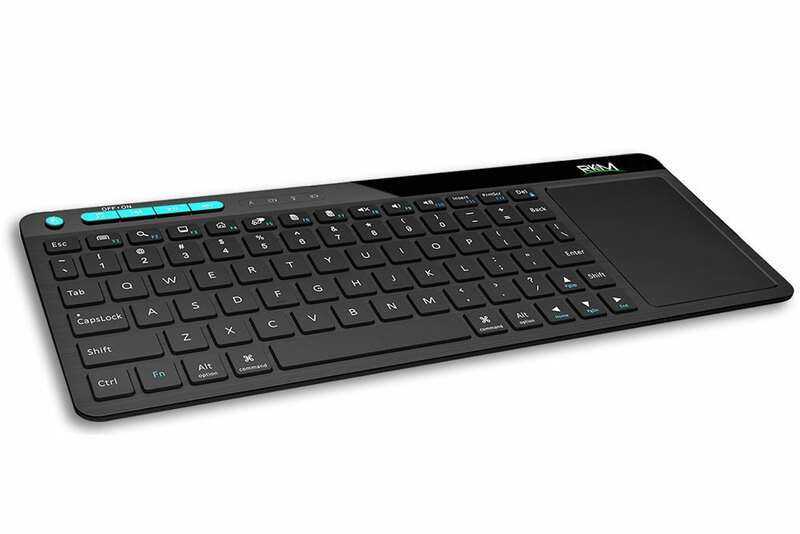 In a week we usually get our news from Las Vegas only, Rikomagic quietly announced two new devices. 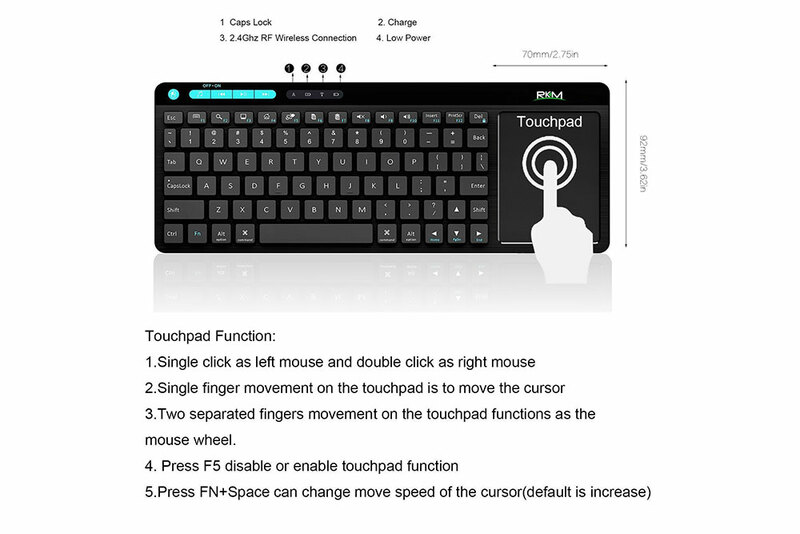 The Rikomagic R1 is a mini PC/smart projector with an interesting sensitive area on the top of the device that serves as a touch pad. 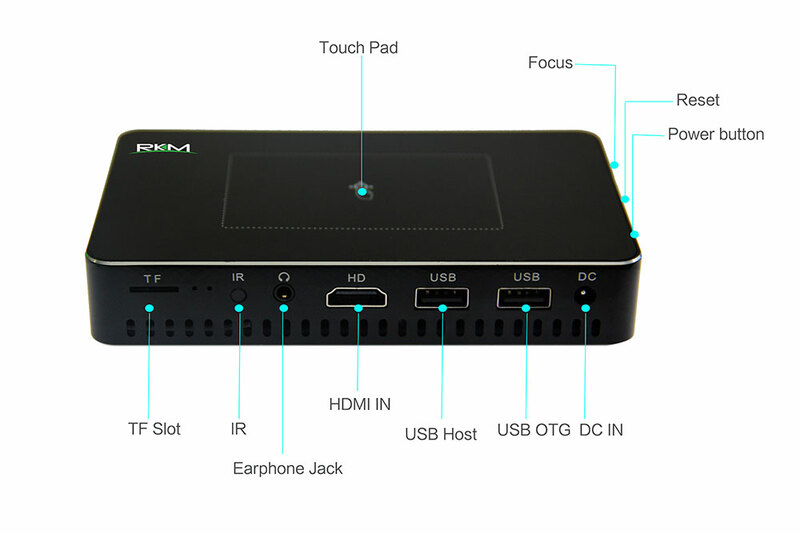 Powered by the Rockchip RK3128 low-cost SoC, the Rikomagic R1 device has only an HDMI-IN port, meant to connect an external TV box or PC , two USB 2.0 ports (one of which is OTG), SD card slot and earphone jack. 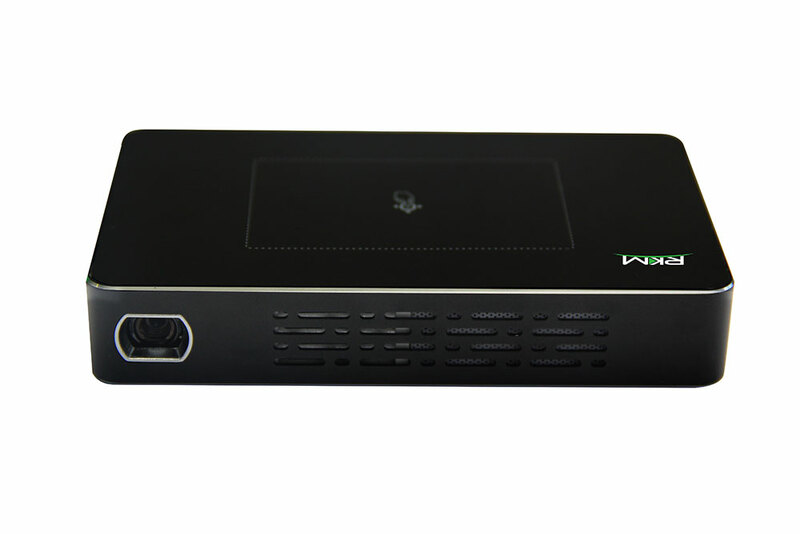 The DLP projector part has the usualfocus and reset buttons and the display chip is 0.3DMD+RGBLED with a WVGA 854*480 resolution, with 2000:1 contrast and 50 lumen (LED light), projecting a 30 to 120 inch image at 1 to 5 meters. 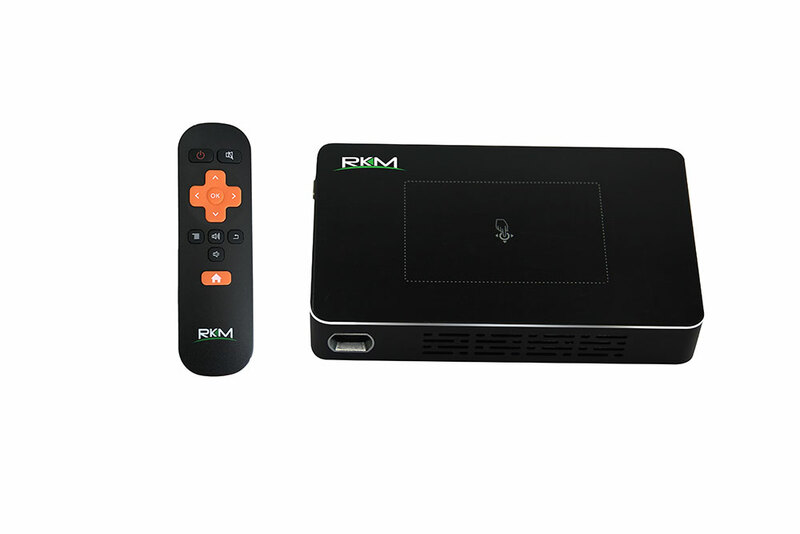 This is an interesting device from RKM, out of their usual TV box/Mini PC safety zone, and the price should be quite low, as the RK3128 SoC is used in some pretty cheap dev boards and the projector part is not what anyone can call "high-tech". Might be worth noting that the Rikomagic R1 device has it's own 5000 mAh battery. 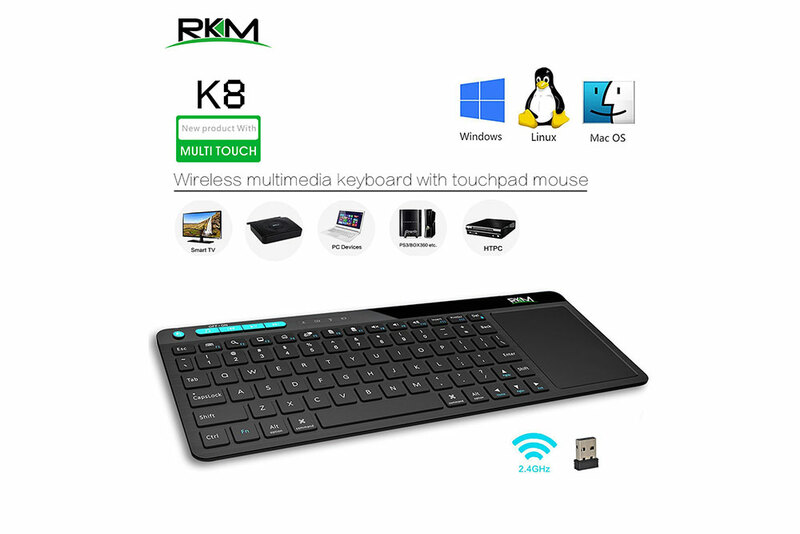 The second device announced this week by Rikomagic is their RKM K8, a wireless keyboard and touchpad combo with full QWERTY keys, scroll, function, multimedia buttons. 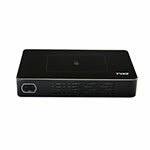 Rikomagic K8 has a built-in rechargeable 850 mAh battery and should work well with any Android or Windows Mini PC. Product should be available next month at around $230.